“New York remains the most fabulous city on earth,” claims travel journalist Graham Boynton, and boy, is he right. Spending ten days in the Big Apple, I could appreciate a great deal of New York’s wonders, starting from juicy burgers to breath-taking Broadway shows. There are numerous reasons for why I made New York City my travel destination: a rich palette of cultural offerings, the ringing tills of Fifth Avenue, magnificent high-rise buildings, and extravagant boutique hotels. Once the city had whetted my appetite, I couldn’t get enough of it. I enjoyed memorable walking tours through Greenwich Village, Soho, Little Italy, China Town, and the Financial District and experienced two more of New York’s five boroughs: Brooklyn and the Bronx. The city’s constant reinvention makes it an eye-catching venue which I looked at with great admiration. I appreciated the glittering lights as described by Edith Wharton and dived into the big city’s night life while standing on top of the Rock. The Empire State has it all: from overcrowded and stuffy subway rides to cultural diversity in the various New York neighbourhoods. 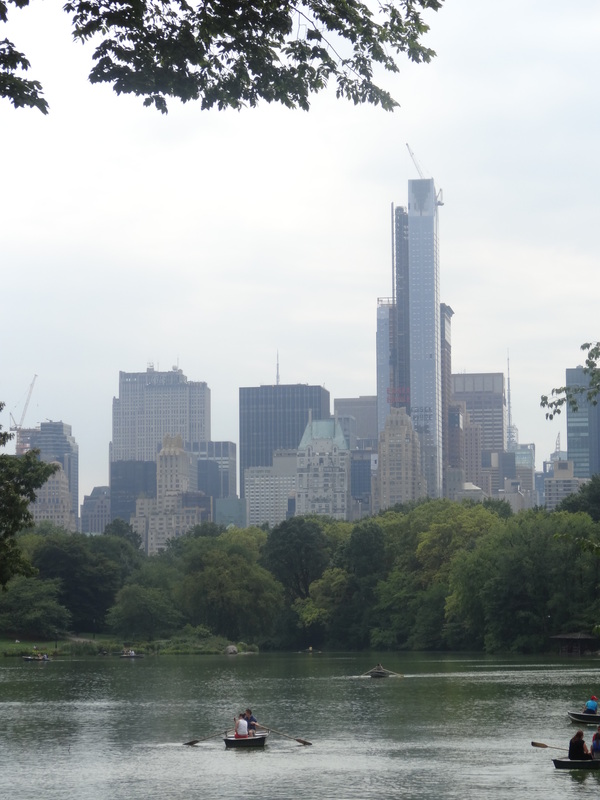 It’s no secret that life in New York has its price, but there are quite a few things to do which are for free, including spending time in Manhattan’s oasis: Central Park. Visiting the magnificent Metropolitan Museum, strolling through Washington Square Park to walk off some of my lunch, admiring the New York Public Library and walking all the way up from Battery Park to 42nd Street contributed to making my stay an unforgettable experience. I loved my vacation, I loved the city, but I didn’t like what they call morning caffeine intake. Honestly, New Yorkers have to start taking coffee seriously! New York City sounds lovely! For me, it’s a place I must go at least once in my life!